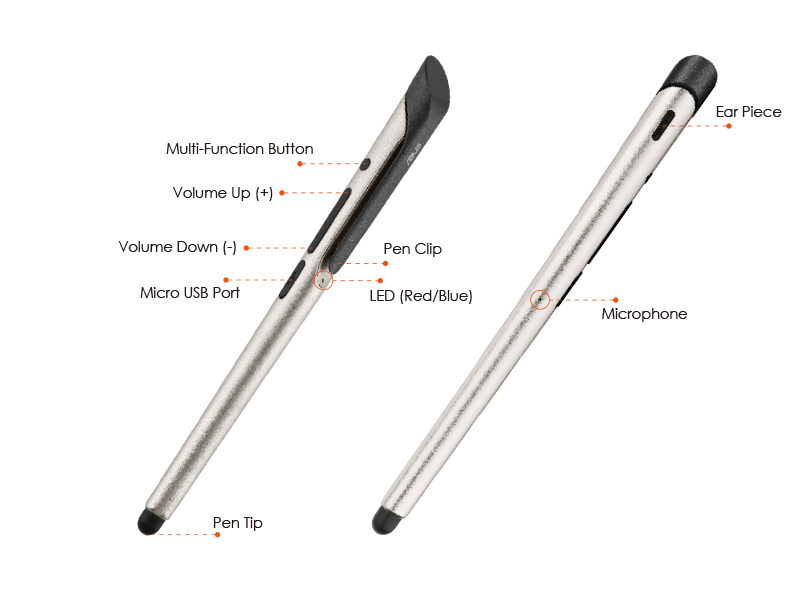 The stylus has 3 buttons, a power button, and volume up and down buttons. 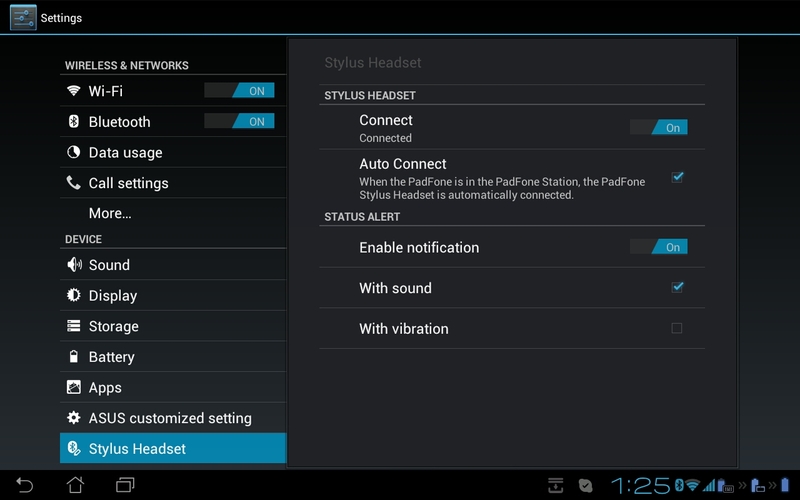 The sound quality of the stylus is very good, it's as clear as the phones speaker. 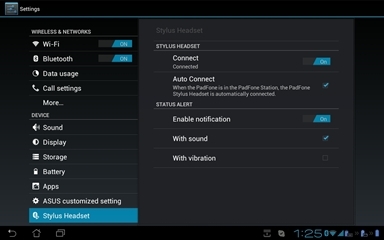 It also contains a LED indicator, which is blue when the stylus is turned on.